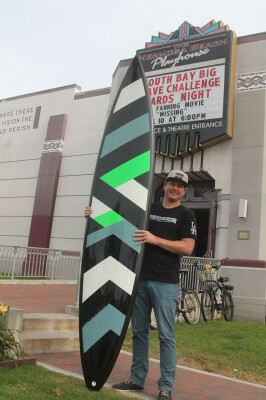 by Eddie Solt The South Bay’s Alex Gray was awarded “Wave of the Winter” last Thursday at the South Bay Big Wave Challenge Night held at the Hermosa Beach Playhouse. 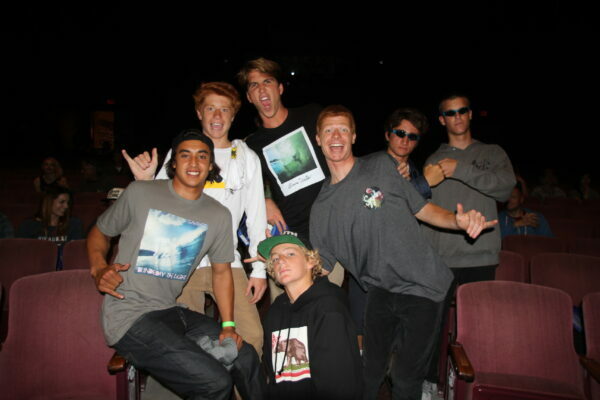 The event commemorated surfers brave enough to take on the heavies and the photographers who captured them. It was a epic night celebrating a winter to remember, especially the first weekend of March, which produced the biggest swell since the El Nino year of 1983. 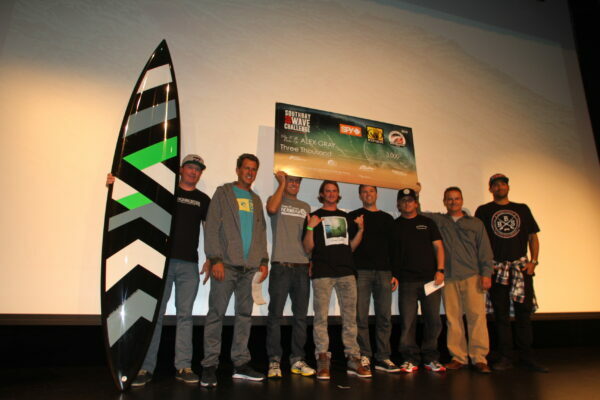 Starting three years ago, the South Bay Big Wave Challenge awards the surfer who drops into the biggest wave of the winter $3000, a big wave gun, and Body Glove gear. The photograph who shoots the winning wave wins $1000. The Challenge is only reserved for waves of consequence, those days that happen only a couple times a year through the period of December 1st-March 31st. 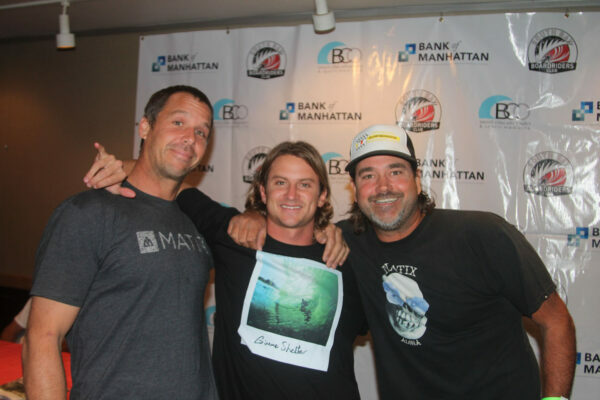 Last year with no noteworthy swell, the Challenge was put on hold. The season started slow with no notable swell. And then, the swell of March 1st-2nd hit the coast with this year’s finalist catching their nominated waves that weekend. 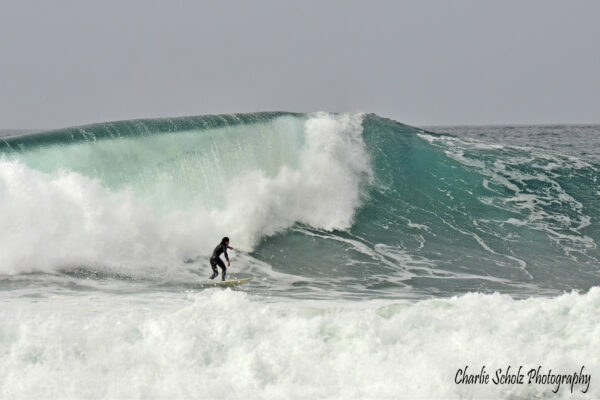 The swell lit up the Breakwall, Torrance Beach, and Tankers outside El Porto which Ted Robinson towed into a few bombs. 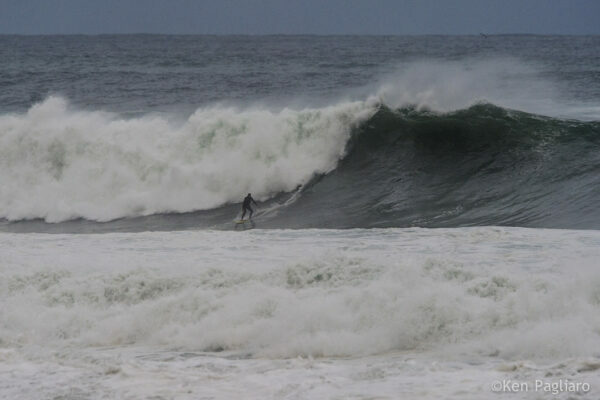 Breakwall was richter, with a majority of the submissions being of the giant left hander. 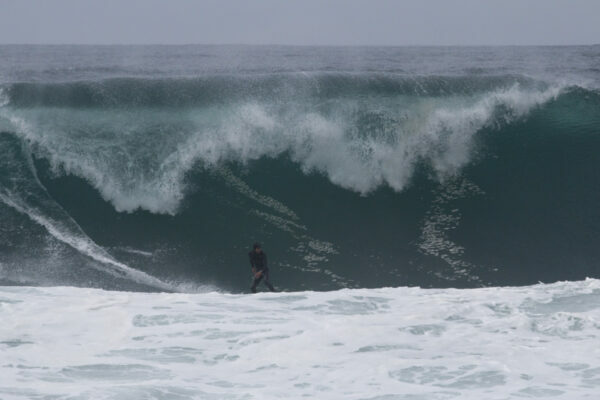 The buzz of that weekend being discussed from Rosecran all the way to the parking lot at Rat Beach was a session at “Burnout” with Alex Gray being on the tip of every surfers’ tongue. The wave Alex caught was snapped from a variety of angles and ended up being on the cover of the Easy Reader. James Wheatley with the gun he shaped to be awarded to the winner. Photo by Tim Tindall. 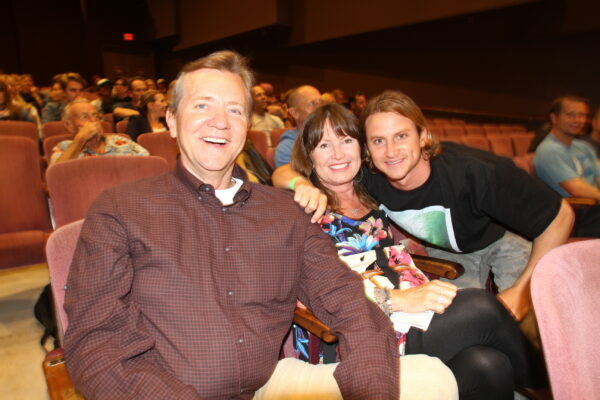 “His bomb looked like Puerto Escondido and not from the South Bay,” fellow nominee Chris Wells said. 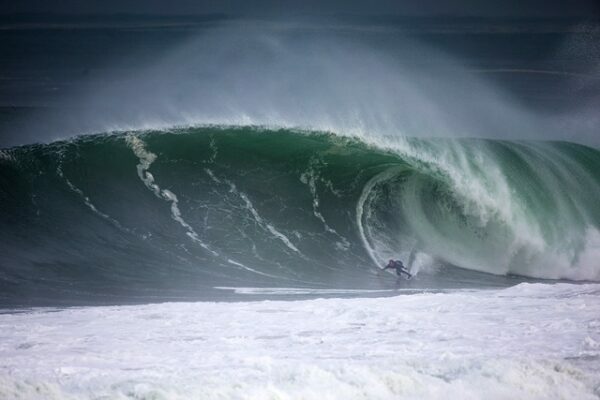 “With Alex’s big wave training and experience, only he could of or wanted to pull off that wave. 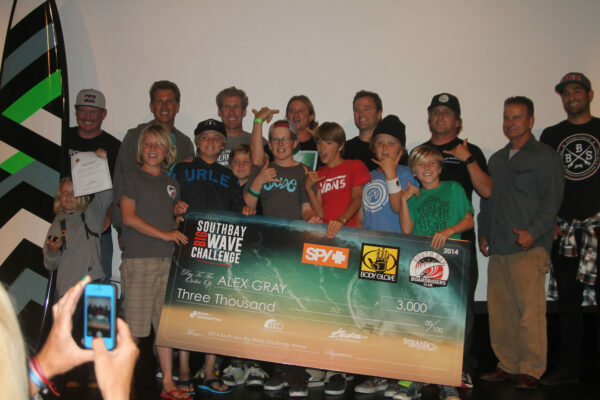 All though all the surfers put on commemorable performances, at the event last Thursday Alex’s wave was on everybody’s mind as winner. With the finalist on stage, event, contest coordinator and legendary photographer Mike Balzer announced Gray as winner to no one’s surprise.